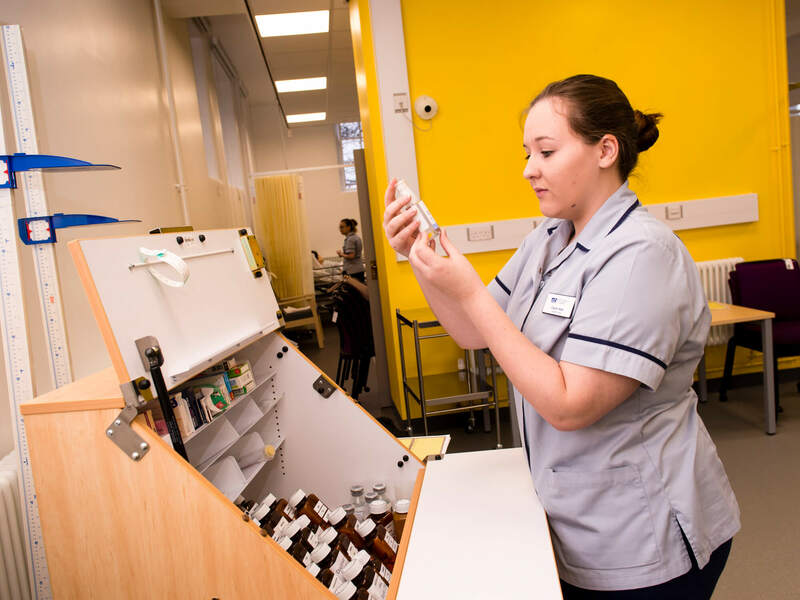 Apply for the Nursing Associate Higher Apprenticeship at the University of Derby to gain access to Gold-rated teaching and excellent facilities, and to benefit from our strong track record in providing high quality, innovative nursing education. The University of Derby was one of the first Higher Education Institutions to be involved in the pilot training programme for Nursing Associates, with over 100 Trainee Nursing Associates starting with the University in January 2017. Nursing Associates work with care assistants and Registered Nurses to deliver hands-on care across the full range of assessment, planning, implementing and valuating care. Nursing Associates bridge the gap between care assistants and Registered Nurses, complementing the care provided by both. The Nursing Associate Higher Apprenticeship looks to develop your knowledge and critical understanding of theory underpinning workplace practices. The apprenticeship fosters reflective practice and explores the limits of the learner's scope of practice. By studying at the University of Derby you will gain access to Gold-rated teaching and excellent facilities, and benefit from our strong track record in providing high quality, innovative nursing education. 675 hours of placement are integrated within the programme, enabling registration as a Nursing Associate with the NMC. We welcome and encourage applications from people of all ages as long as they can be considered adequately prepared to succeed on the programme. If apprentices have few or no formal qualifications, they may be able to gain entry to the programme if they have the required communication and learning skills as well as the knowledge, experience and motivation to succeed. All learners will be asked to provide evidence of academic potential and commitment to confirm their ability to undertake the programme. Individual apprentices will also set their own selection criteria and typical entry requirements and we will work with them concerning entry. To apply for this apprenticeship you must currently be in paid employment of at least 30 hours per week. Your employer must cover the costs of the apprenticeship. Cost of the apprenticeship will normally be in line with the funding band £15,000, but individual agreements will be considered depending on student numbers and involvement of employers.